Fall has finally arrived, which means that it’s time for colder days and warmer clothes. 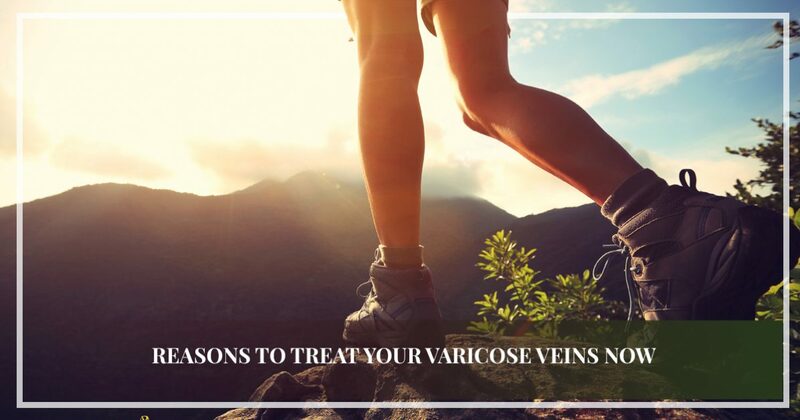 While many enjoy the warm weather of summer and the many opportunities to get outside, if you suffer from varicose veins or other vein conditions, the heat can make you feel uncomfortable and self-conscious. In addition to fall bringing you the opportunity to cover your legs, it also gives you the option to receive treatment so that you are healed by the time summer returns. If you’re on the fence about receiving treatment, continue reading below for a few reasons that you should consider vein treatment this fall. At Center for Advanced Vein Care in Cleveland, we can provide you with the relief that you need to start living your life to its full potential. After we treat you, you can say goodbye to days of pain, swelling, and irritation that have kept you from doing the things that you love or wearing the things that you like to wear. Dr. Sonja Stiller will work with you to find a vein treatment that meets your needs so that you can finally receive the relief that you deserve. Learn more about the conditions we specialize in treating as well as your treatment options on our website and contact Advanced Vein Care to schedule a consultation today. Varicose veins cause a lot of pain and discomfort and treatment will help alleviate those symptoms. That being said, there are other reasons that making the decision to treat your varicose veins in the fall might be the best option. For one, most insurance companies will agree to cover your vein treatment, though they may require that you wear compression socks for a six-week period prior to your procedure. You will most likely have to wear compression socks after your procedure as well. If you choose treatment during the summer, you may feel uncomfortable or too hot when you wear the compression socks. Should you choose to undergo vein treatment in the fall, you will find more comfort in the cooler temperatures and it will make your procedure a little less uncomfortable. Choosing the right time to receive vein treatment can be difficult, especially if you lead a busy life. You may have decided to forego a procedure during the summer because you didn’t want to spend most of the time recovering. Now that fall is here, it’s the perfect time to receive treatment. The activities of summer and winding down and we’ve reached a lull before the holiday season. If you receive treatment early enough, you will have plenty of time to recover. Depending on the procedure you choose, you may only need a couple of weeks! Ready to Seek Vein Treatment? These are only a couple reasons why autumn is the time to seek vein treatment. If you’re ready, look no further than the Center for Advanced Vein Care! Dr. Sonja Stiller has years of experience and she can help you find the relief that you deserve. Now is the time, so contact the Center for Advanced Vein Care in Cleveland and schedule a consultation with Dr. Stiller today!